Body positivity is a funny old thing, isn't it? As much as I think of myself as a champion for body confidence, the truth is I, like everyone, have some pretty substantial body hangups. It's odd because I've reached a point where I feel afraid to mention my insecurities. If I do, is somebody going to think I'm faking the whole body positivity thing? Or am I going to be criticised again for mentioning my flaws? It feels very black and white: If you promote body confidence, you have to be positive in all areas of your own body. But, of course, real life isn't like that. When I was a young, between the ages of 10 and 15, I was horrendously insecure but there was something that prevented me from doing anything about it. 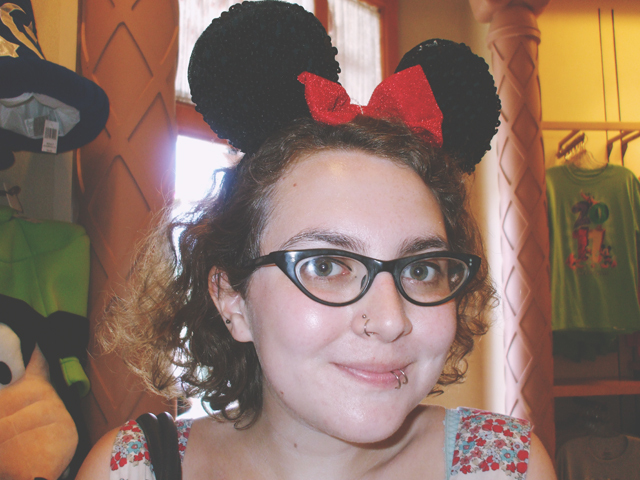 I hated my frizzy hair, my discoloured teeth, my body hair and my glasses and yet I felt changing my appearance was something to do "when I'm older". 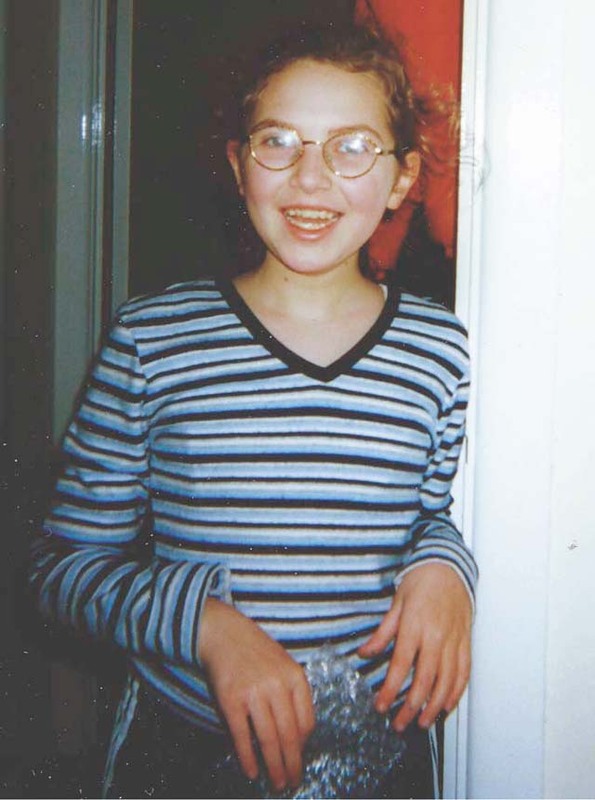 I was always thinking about how I would change my look when I was old enough, without realising that I could have changed all of those things at any point. Once I hit 16, and fell heavily into my emo days, style was everything. I was desperate for straight, black, sideparted hair. 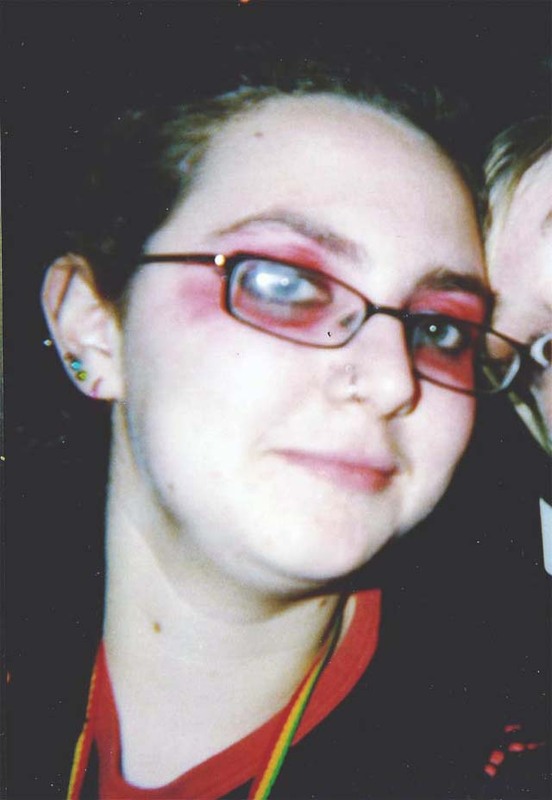 My glasses and braces let me down and prevented me being the emo babe I'd envisioned. Yet there was nothing stopping me from using hair straighteners and getting contacts. I was resigned to these insecurities, thinking there was no way out of them. Of course, the whole emo thing faded and once I started this blog I was influenced by all those amazing, positive girls who own their appearance. They're beautiful and confident in their own skin, and that's what I wanted too. I couldn't change my appearance. That would be cheating, right? It wasn't one particular epiphanous moment that changed my thinking but more a slow revelation. It started with my contact lenses. I first got them in 2009 but gave up after a couple of months before returning to them in 2012. I was so happy and confident with them and loved the benefits of swimming, going on rollercoasters and doing my make up with the ability to see. Then I started straightening my hair and discovered that my mood is hugely amplified with freshly straightened locks (more so when I eventually get round to a trim!). At the end of 2014, I got my first acrylic nails and I couldn't believe how much of a difference they made to my confidence. Finally, a few weeks ago, I got my eyebrows waxed and I am obsessed with them! Now I have a routine that includes weekly hair straightening and getting my brows and nail done once a month. Next I'm looking into teeth whitening, laser hair removal and keratin treatments. I feel like I'm finally, at the age 26, coming out of my chrysalis. I've realised that it's ok to have beauty treatments and promote body positivity. If you don't like something, you can change it. Body confidence doesn't have to mean living with something that makes you miserable. Such a great post, and I think it's fair to be both confident but at the same time recognise your insecurities. You make some really salient points. 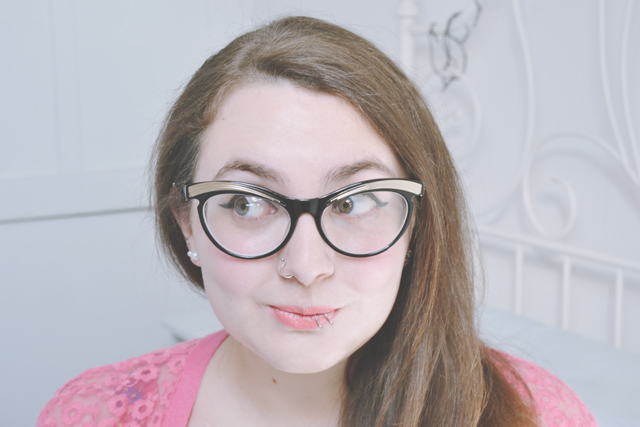 I've only just found your blog through your Benefit Brow Bar review (the first paragraph of that post is basically me - and you've convinced me to book an appointment at the Brow Bar for the first time ever) and I've really enjoyed reading your other posts. Plus, I'm fairly certain you live in a town fairly close to my little town! It's always nice to find internet people who live in Hampshire :) So hello! Another Hampshire girl! Let me know how you get on with the Brow Bar! I keep staring at my untouched brows and thinking that they're not long for this world!! Lovely post :) I can actually relate to your beauty journey. At some point you realize you could be so much more, and that you're actually entitled to it. It's all about revamping your mental image of yourself I guess. I relate to so much of this. I spent the majority of my 26 years feeling badly about my bangs that were cut in a straight line across my forehead & always got messy & oily. Finally got rid of them a few years ago & thought, what the hell held me back from doing this ages ago? I still have plenty of insecurities to work on but if I step back & look at myself they way you've stepped back & looked at your younger self, maybe I'll see things in a different light. Thanks for this! I have to agree! It took me until I was 29 before I figured out how to define my invisible blonde eyebrows and to invest in whitening my teeth. I have no idea why because I was so self-conscious about both of those things without even realising it, and it's made such a difference to my confidence! Isn't hitting your mid-20's amazing? I am so much more body confident than I've ever been in your life! And yes - it's okay to be high maintenance because taking care of yourself shows that you respect your own body! true. change your body to what you can to be the way you want but never change your soul.